PLEASE NOTE: This product consists of one lens only. 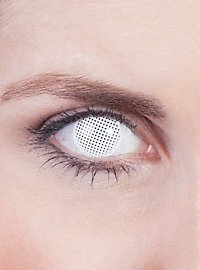 High quality White Mesh effect contact lens with prescription: 1-year contact lens available in a range of prescription strengths – perfect for Halloween & Carnival! Are you nearsighted, but you still want to wear colored contact lenses? No problem. With our prescription effect contact lenses you can retain optimal vision without compromising the style of your lenses or costume. Please note:This product consists of one lens only. Unlike our other effect contact lenses we sell our prescription lenses individually. This allows you to combine prescriptions as needed – not everyone has the same prescription in both eyes. Please consult your optician or ophthalmologist to determine whether effect contact lenses with prescription are an option for you. This is especially important if you have astigmatism. When not in use, the contact lenses must be stored in a suitable solution. We recommend our contact lens care kit with contact solution and case. 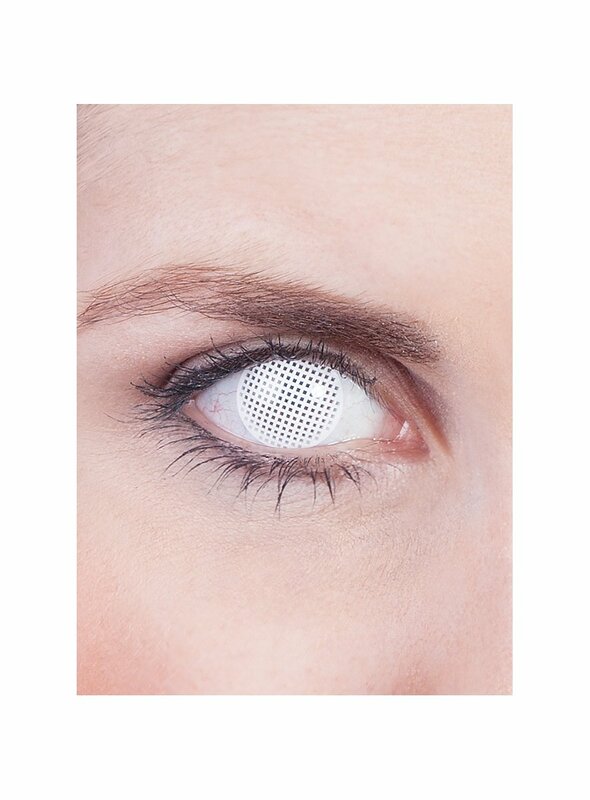 Detailed instructions on handling and caring for your colored contact lenses are included. Please follow them carefully. Great to get these "blind" lenses in prescription strength, since I'm using them on stage and it is an advantage not to fall off!